I cant quite believe that its the first Top 5 Tuesday of 2018! Top 5 Tuesday is hosted by Shanah over at Bionic Bookworm and this week the topic is Top 5 Books on your Bucket list for 2018! 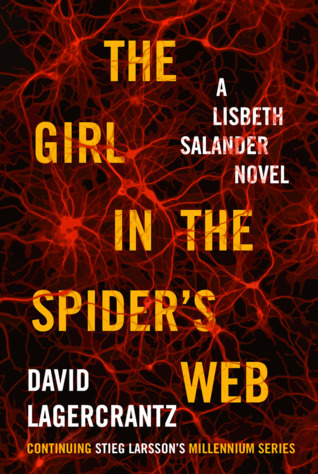 Blurb: She is the girl with the dragon tattoo—a genius hacker and uncompromising misfit. He is a crusading journalist whose championing of the truth often brings him to the brink of prosecution. I NEED to get around to reading this year! The Millennium series is my all time favourite series. 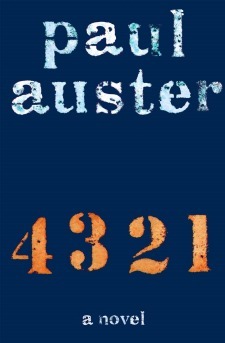 This is the 4th book in the series and the problem is, it came out a good few years after the 3rd book…. And I can’t really remember what happened. So, I need to refresh my memory with the first 3 books before I attempt this one. 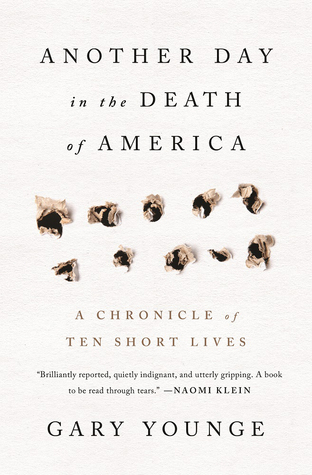 Blurb: On an average day in America, seven children and teens will be shot dead. In Another Day in the Death of America, award-winning journalist Gary Younge tells the stories of the lives lost during one such day. It could have been any day, but he chose November 23, 2013. Black, white, and Latino, aged nine to nineteen, they fell at sleepovers, on street corners, in stairwells, and on their own doorsteps. From the rural Midwest to the barrios of Texas, the narrative crisscrosses the country over a period of twenty-four hours to reveal the full human stories behind the gun-violence statistics and the brief mentions in local papers of lives lost. This has been on my TBR for what feels like FOREVER. Despite my many hints, no one bought me it for Christmas, so at some point this year I’m going to purchase it and finally get around to reading it! I came across this book when it was one of the nominees for the Man Booker Prize 2017. It’s been on my TBR list since then, but I’m determined to get around to reading it this year. 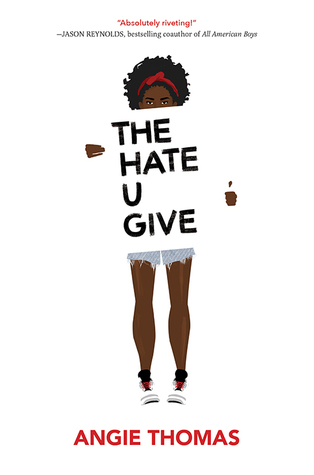 Blurb: Sixteen-year-old Starr Carter moves between two worlds: the poor neighborhood where she lives and the fancy suburban prep school she attends. The uneasy balance between these worlds is shattered when Starr witnesses the fatal shooting of her childhood best friend Khalil at the hands of a police officer. Khalil was unarmed. I’ve heard such good things about this book but for some reason, I have got round to reading it. So hopefully 2018 will be the year I read it! Speth Jime is anxious to deliver her Last Day speech and celebrate her transition into adulthood. The moment she turns fifteen, Speth must pay for every word she speaks, for every nod, for every scream and even every gesture of affection. She’s been raised to know the consequences of falling into debt, and can’t begin to imagine the pain of having her eyes shocked for speaking words that she’s unable to afford. But when Speth’s friend Beecher commits suicide rather than work off his family’s crippling debt, she can’t express her shock and dismay without breaking her Last Day contract and sending her family into Collection. Rather than read her speech—rather than say anything at all—she closes her mouth and vows never to speak again, sparking a movement that threatens to destroy her, her family and the entire city around them. Well, I bang on about this book enough, so it just had to be on this list, right!?!? I honestly can’t wait to get stuck into this! I have All Rights Reserved on my immediate TBR for this year as well. Sounds so interesting, right? And I’ve never heard of 4321 but WOW that sounds like it could be spectacular!!! I may need to check it out myself! I’ve heard such good things about it so I’m not really sure why I haven’t got round to reading it yet haha! THUG is amazing, you’ll love it. i saw someone else mention All Rights Reserved few weeks ago and added it to my TBR – what a concept! I don’t think I could read Another Day in the Death of America. I think it would make me too depressed. I’m sure it’s a good book, though. 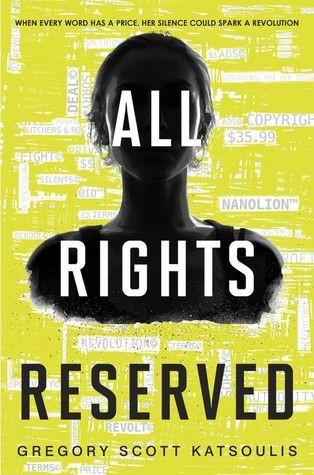 What are we all going to talk about once we’ve all read All Rights Reserved!? Haha. Yep, Another Day in the Death of America sounds so depressing! I’m hoping it’ll be good though because I’ve been waiting to read it for ages! We’ll talk about All Rights Reserved and spoil it for everyone reading out comments! !